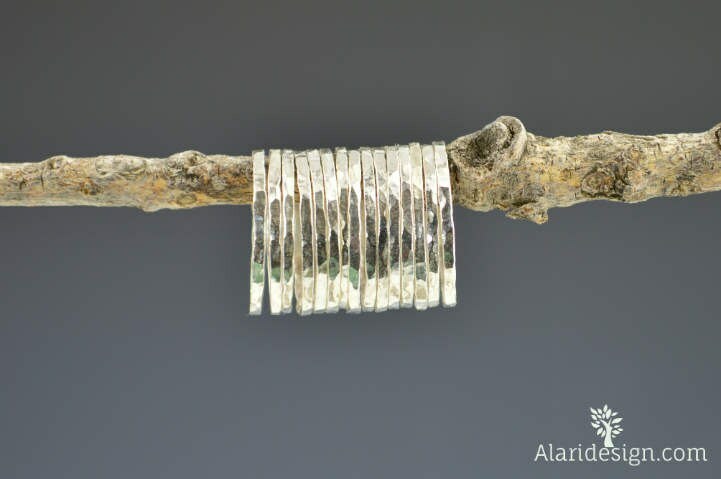 These pure silver rings will make a gorgeous addition to your jewelry collection. This ring is the second skinniest ring I make. 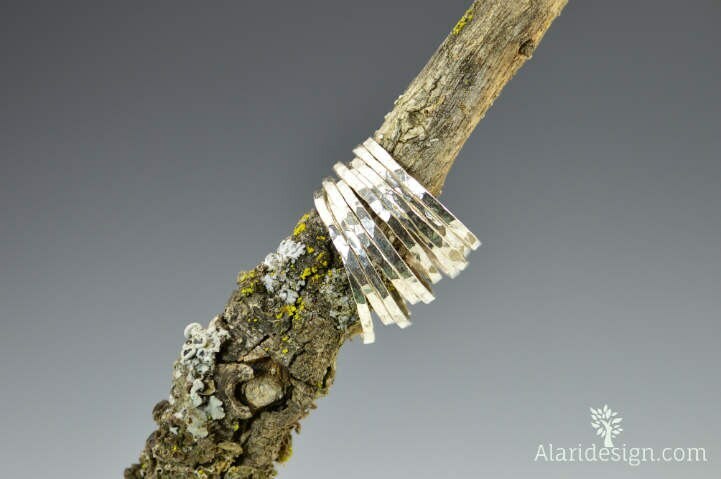 Each stacking ring is made with 99.9% pure silver, otherwise known as “Fine Silver”. Sterling Silver is only 92.5% silver. 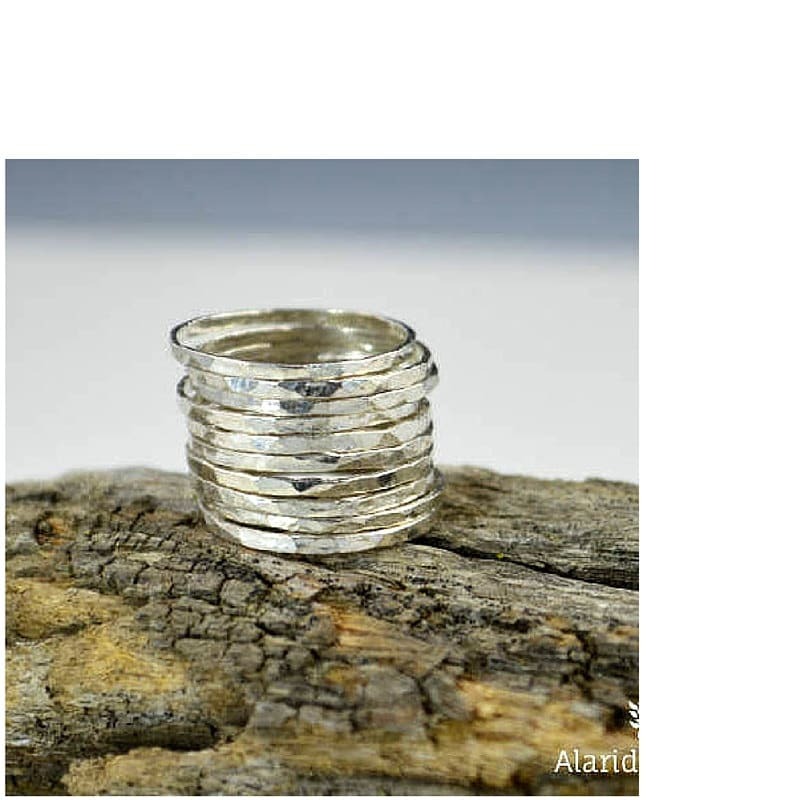 This listing is for one ring up to 15 rings. The more you buy, the better the price! 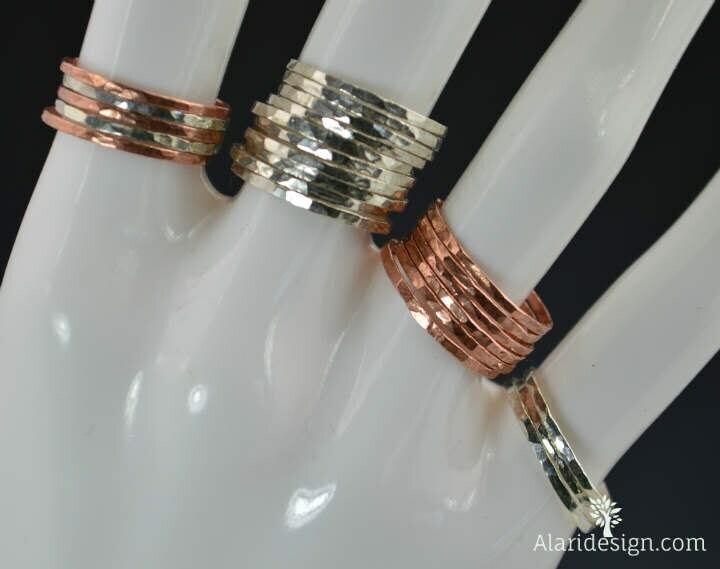 Consider these rings when shopping for family and friends! These rings add an elegant, sophisticated vibe to any outfit! Beautiful ring, high quality work. Packaging was personalised with a hand written note and jewelry cleaning tips - and came in a little box. Fantastic. I ordered two thin stacking rings to go between my stackable birthstone rings and I love how they turned out. Beautiful craftsmanship and quick turnaround time on my order! Highly recommend! I liked it very much but this was a misleading deal in my opinion. I believed your “unit” was a stack of several rings, not just this ONE skinny ring I received. Excelent sales contact though. Very understanding and accommodating if something goes wrong. I would purchase from this seller again.